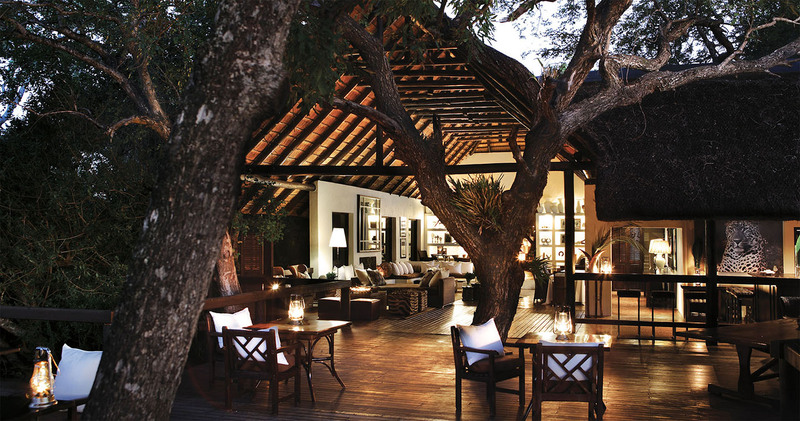 A luxury five star safari lodge, Londolozi Tree Camp is located in the central region of the Sabi Sand Private Reserve sharing unfenced borders with the Kruger National Park. Raised on stilts, Londolozi Tree Camp literally lies within magnificent Jackalberry and Leadwood trees on a prime site overlooking the Sand River. 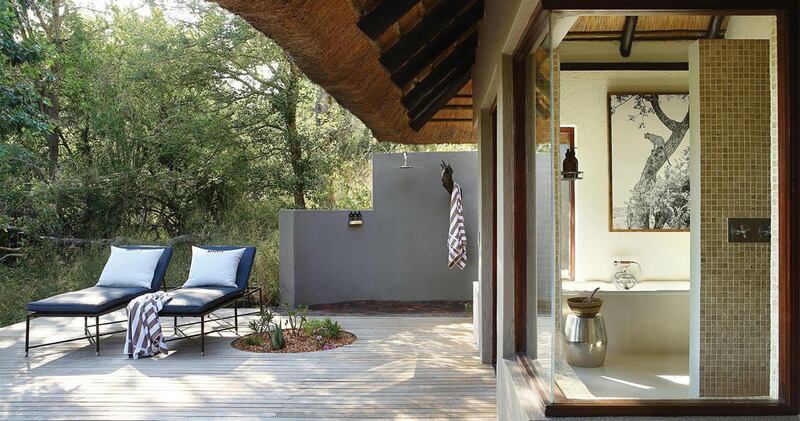 Elegance and simplicity are the hallmarks of Tree Camp’s six private sanctuaries. 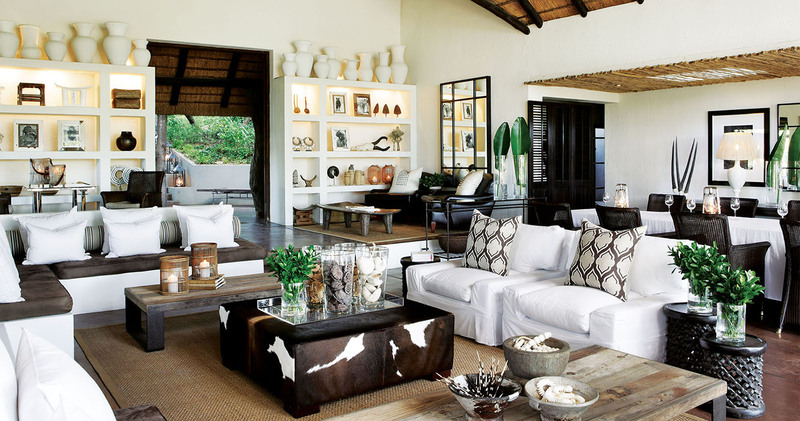 In every detail and feature, from the swimming pools and contemplation decks (salas) to the Ralph Lauren wallpaper and plaited chocolate leather beds, this exclusive camp provides a matchless show- case of African excellence. 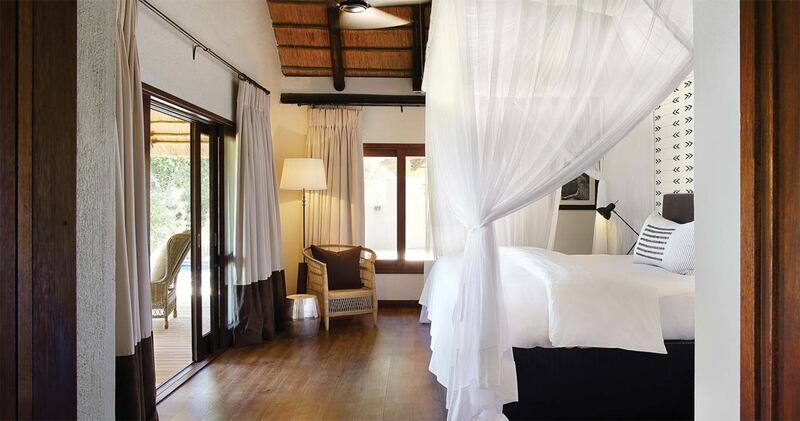 Merging effortlessly with the surrounding natural environments suites have spacious bathrooms with indoor and outdoor showers, king size beds with mosquito nets, air-conditioning and fans, private lounge area with minibar and a private deck with plunge pool. The suites are reached by elevated, lantern lit walkways. 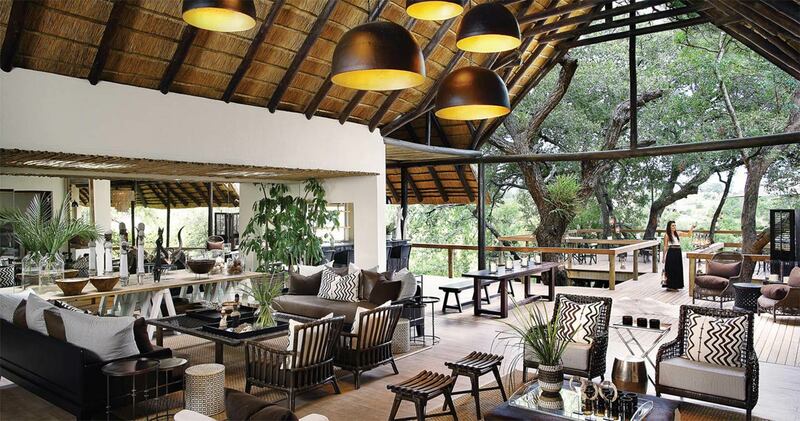 Built high off the ground, the main lodge areas are under thatch with some solid walls and plenty of open spaces. Beautifully laid out there are plush lounges, a bar and restaurant, large deck and swimming pool. Activities at Tree Camp include two game drives daily in the morning and afternoon, guided nature walks and one group yoga class per day (at Varty Camp). This was our wedding anniversary and we had a fantastic time. The people at Tree Camp were beautiful. Our accommodation was amazing. The food, omg, the food. Wake up call in the morning with room service. The drives into the bush. The scenery, the animals. No TV's, no phones. I loved every minute and if I can ever make it back I would go. Miss it. I give it 10 stars!!! My husband and I just returned from 3 days at Londolozi tree camp. So hard to describe how amazing it is. It is small and intimate (only 6 suites) and they make you feel very special and attend to your every need/want. The game drivers and trackers are exceptional (We had James and Elmon!!). They are very passionate about what they do and extremely knowledgable. You have the same driver/tracker throughout your stay. Our ranger, James, had two surprises for us during our stay. One was a fantastic lunch picnic high up in a secluded tree house and the other was a short hike up a large rock formation for coffee with spectacular views in all directions. As far as animal sightings --- WOW!! We saw elephants (including babies), 3 lion prides, 4 leopard sightings, hyenas, hippos, girraffe, wildebeast, cape buffalo, & a rare sighting of a pack of wild dogs with a fresh impala kill. The suites are huge and beautiful and very private. Extremely romantic!! Basically, I wanted to cry when it was time to leave and hope to go back in 2012!!!!!!!!!!!! Londolozi was the first game reserve to be awarded Relais & Châteaux status, reinforcing its commitment to fine cuisine, luxurious accommodation, and exceptional service & guiding. 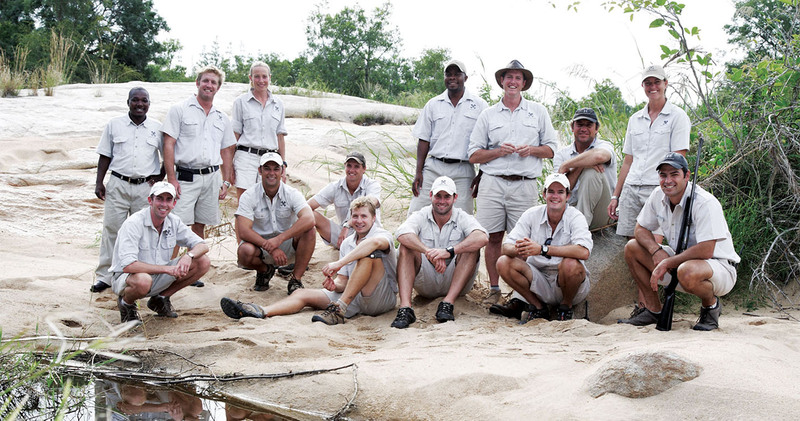 Read all about travelling to Londolozi Tree Camp on our getting to Sabi Sands page. 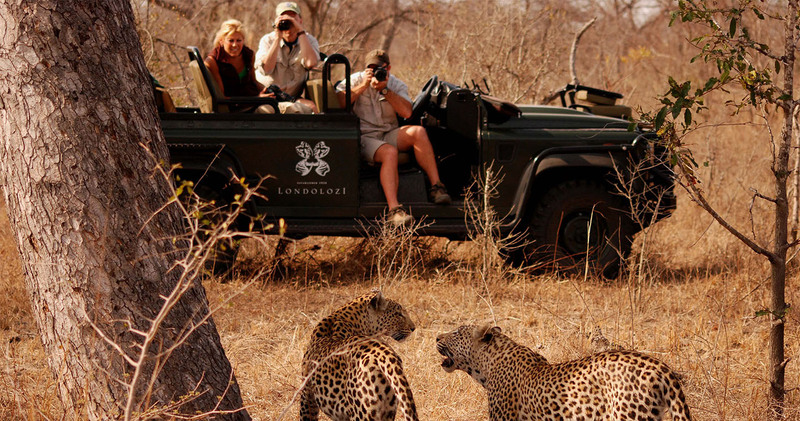 Children over the age of sixteen are welcome at Londolozi Tree Camp at the full adult rate. We hope you have found all information needed to decide that Londolozi Tree Camp in the Sabi Sands Game Reserve is the perfect place for your next travel adventure. Please fill in the contact form and we will get back to you soon!